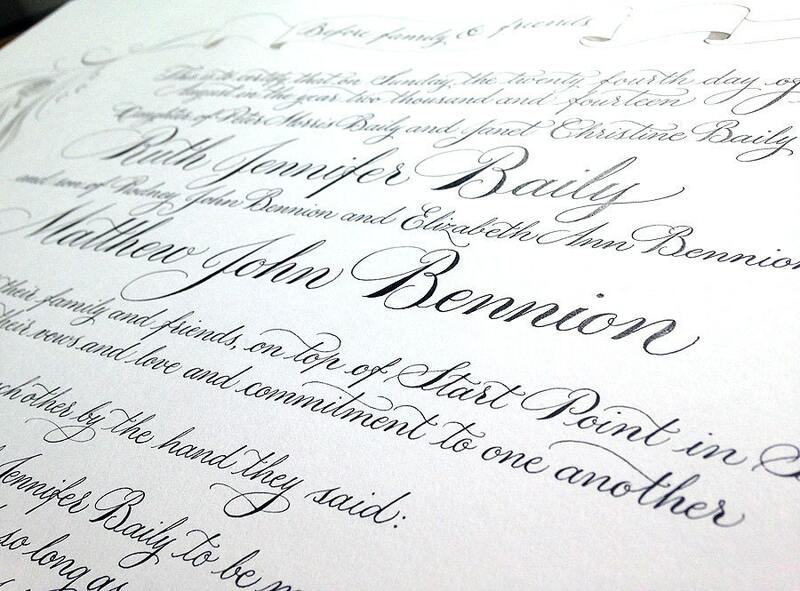 Handwritten calligraphy for your Quaker marriage certificate - the process is simple: send me the lettering and I'll write a beautiful certificate for your wedding guests to sign. The design is flexible and can include colour, gilding (22 carat gold leaf) and illustration if you wish. 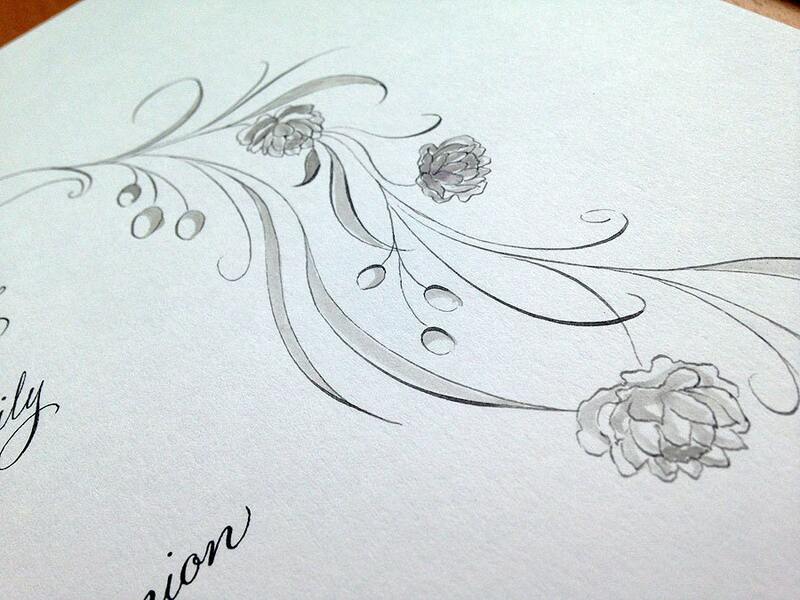 This example is very simple and elegant, with no colour, only the black and white inked border design. 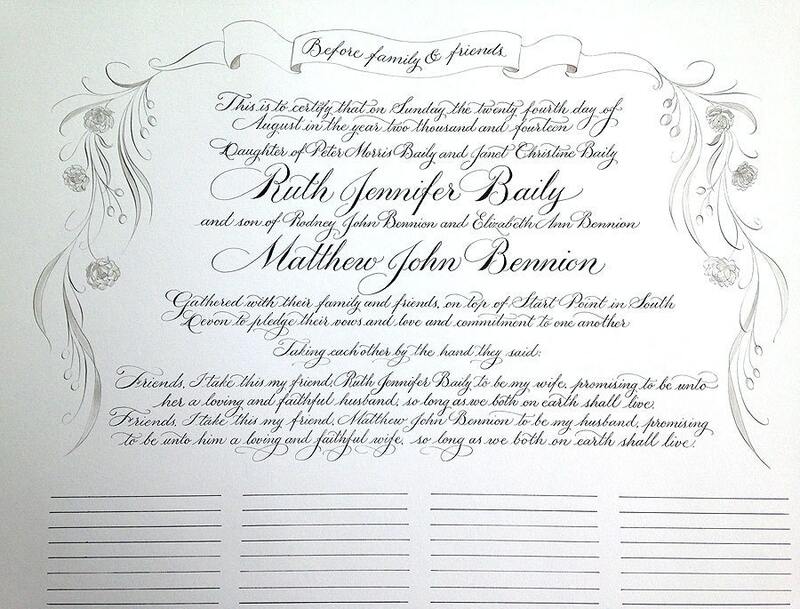 The calligraphy style used is based on Spencerian script. 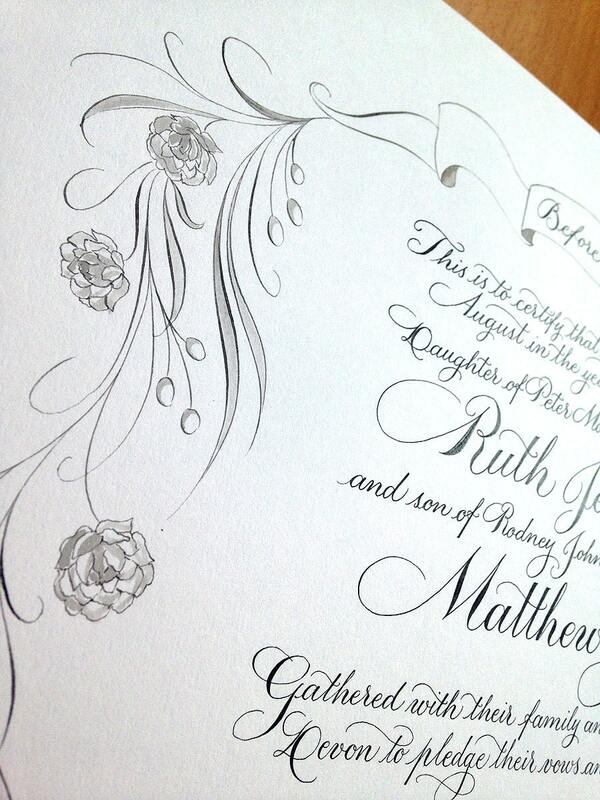 Your marriage certificate will be written on a high quality A2 art paper in an antique white colour. 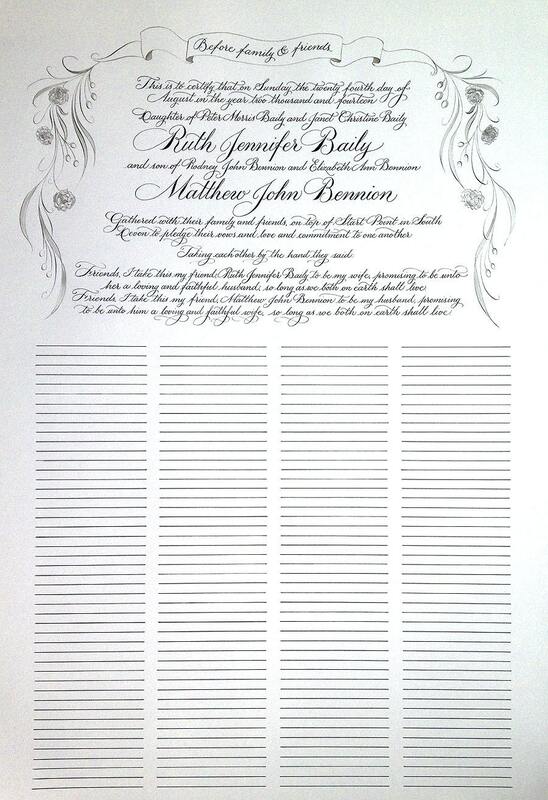 The example shown has lines for 188 signatures, but more can be incorporated (or fewer, if you wish). Supplied either portrait or landscape orientation. Custom sizes are available - email to ask! The price shown is for 200 words of calligraphy, but please contact me with your word count for a quote. The price depends on word count and the time taken for any illustration or gilding work.